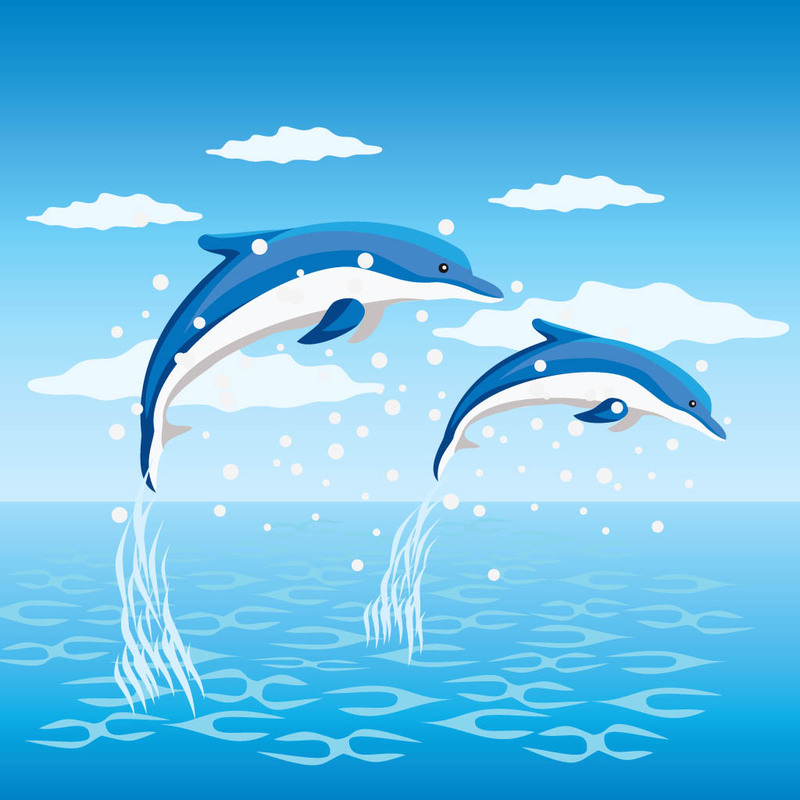 Home Science for Kids 5 Ws & H Do Whales and Dolphins see Blue? Do Whales and Dolphins see Blue? Dolphins and whales live in the deep blue sea, but strangely these animals are not able to see the colour blue! Leo Peichl of the Max Planck Institute for Brain Research in Frankfurt and his colleagues discovered during routine tests that seals do not respond to the blue colour. Intrigued, they carried out similar tests on few other species, such as dolphins and whales, and found the same results. According to fossil evidence, whales are believed to have descended from a four-legged primitive ungulate (hoofed mammal) which lived on land and was similar to the modern day hippopotamus. Like the hippopotamus the whales come to the surface for breathing to this day. However, tests carried out on hippopotamuses and river otters (close relatives of seals) showed that both species are receptive to the blue color. Peichl and his team believe that millions of years ago, whales and seals lost their colour vision after they split from a common ancestor. But, a handful of Paleontologists (people who study prehistoric animal and plant life through the analysis of fossil remains) are of the opinion that early whales, dolphins and seals lived in coastal waters, where debris including rock, mud and sand tended to blot out the blue light. Over a period of time, their eyes adjusted to the lack of blue and even though, today, whales live in much deeper waters, they still lack the ability to see blue! Most mammals have two types of pigment cells in their eyes, called cones, that pick out blue and green light. Humans and other primates have a third cone for red light. The cone cells help you see finer details of an object, such as colour, while other cells, known as rod cells, respond to light stimuli over a general area, without being able to distinguish details. Dolphins may not be able to see blue, but, unlike humans they can see very well even in murky water, because a dolphin’s eye has 7,000 times as many rod cells as a human eye.